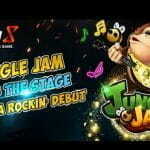 Casino software development firm, Genesis Gaming, has launched its latest slot, a 1,024-line game titled Jungle Jam. The game was initially showcased at the ICE London conference and convention and is now being distributed to online casinos. The slot was created through the Genesis Gaming software development brand, Radi8, which was launched in December 2018. Jungle Jam was first teased to exhibitors and visitors to one of the industry’s largest conventions, ICE in London, before being officially launched on 15th March 2019. The brand-new Jungle Jam slot uses a five-reel, four-row layout and has a fantastic return to player (RTP) percentage of 97.25, which is well above the industry average of between 92 – 96%. According to Radi8, the slot has a medium-volatility level, which is the reference for the types of payouts a slot will make. For example, low volatility means frequent, small wins while high volatility means bigger wins on a less regular basis. The jungle theme of the slot is immediately visible upon entering the game, where a Rockstar Gorilla stands at the front and centre, jamming out on his banana-shaped electric guitar, clad in a denim vest and rocking a magenta mohawk. He’s accompanied by a pink sunglasses-clad bee that’s dancing to the tunes, while the grid in the background brings colour to the dark greens of the surrounding forest. The symbols on the grid are similarly topical to the jungle theme, with a chunky golden font for the 10, J Q and K symbols that are the low-payers of the bunch. An owl, bat, chameleon and mosquito all act as the higher paying symbols, plus a Wild and the Banana guitar as the Bonus symbol. 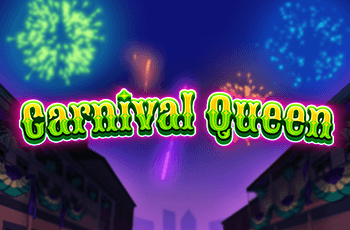 Three of the Bonus symbol will trigger up to 20 free spins in the Jungle Free Spins Fest. During this bonus game, there will be additional multipliers possible that give two, three or four times the be bet, all the way up to a massive 64x. The wilds substitute for everything except scatter. The game uses the trademarked ‘All Pays’ feature, which means that there are 1,024 different ways to win as any matching symbols pay left to right regardless of which row they are found on. Winning symbols and paylines are highlighted with spotlights above the game grid from the forest roof, while the gorilla strums a chord of victory. The soundtrack of shredding guitars is reminiscent of the AC/DC song ‘You Shook Me All Night Long’ with additional drumrolls on the spin of the reels and an explosion of music note graphics from the spin button. There is also an auto-spin feature where the player can select either a number of spins or a loss/win limit. The slot joins more than 200 other games in the Genesis portfolio, which continues to grow as the company focuses on expanding its role as a key supplier to leading casino operators. 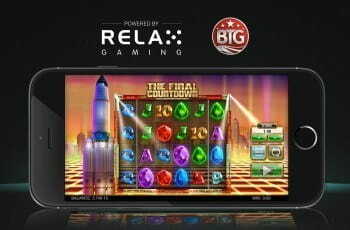 As Radi8 continues to bring more games to the fore, it continues to focus on making mobile-friendly slots that are instantly playable on most any modern device. The company also offers what it calls its “Rad+” engagement feature on this slot as will its others, which is a type of loyalty program interconnected with other titles from the same firm. This allows players to earn points that can be used in-game to increase the chances of winning by purchasing boosters or other add-ons. 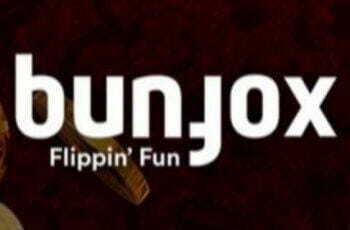 The launch of Jungle Jam follows the recent release of a blackjack game from a second development company within Genesis Gaming, Bunfox. The different developers target various country markets for the global corporation, each working to the right jurisdictional requirements. The Taipei-based firm, Genesis Gaming, was founded in 2008 as a software developer for land-based game manufacturers. Now, it aims to produce entertainment in a mobile-first manner from its two firms in Las Vegas and Vancouver.